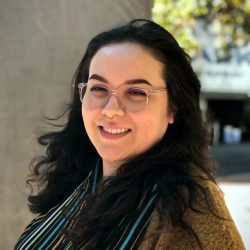 Emilia comes from a freelance background and has worked with various companies to perform data updates and data pulls for organizations with insufficient in-house IT resources. She earned her BA in English Literature from Florida International University. Key skills include SQL coding, joins and updates, backup and recovery, requirements gathering, working with data models, and writing custom queries. She is Nicaraguan American from Miami, Florida, fluent in Spanish, and a member and advocate of the Portland LGBTQ community. In her free time she enjoys singing, writing, reading, and spending time with her 3 year old rescue dog named Cosita. She’s known to nerd out over poetry and fantasy literature, such as J.R.R. Tolkien and E.E.Cummings.